Most estate planning attorneys in Scottsdale will have to work with a process server at some point or another, but not all attorneys understand the value of proper service of process. Document service may seem like little more than a formality – that is until they are dealing with the consequences of poor process service. For legal proceedings to move smoothly, service of process must be completed within a set time frame. The exact time frame depends on location and legal motion, such as whether you are involved in a civil lawsuit. If you don’t get a process server to deliver the documents to the right person at the right time, legal proceedings could be delayed or even derailed entirely. An entire lawsuit can be lost before it began if certain documents are not delivered on time. It is essential that documents are delivered to the right person or representative of an entity like a business or government agency. If they are not given to the right person, it can be like they were never delivered at all. Experienced process servers in Scottsdale understand the importance of proper identification, and they have an arsenal of strategies for finding the right person and proving that they have properly identified them. Unproven servers may use unreliable methods for identification, such as social media or hearsay, or they may rely on only one source for identification without confirmation. Working with an unproven process server company puts your firm at great risk of failing your client. Not every process server who calls themselves that is a reputable agent. Many are unlicensed or unregistered. Many are unaware of the laws regulating the industry. Many are unprofessional and unconcerned with ethics. Some process servers are so determined to produce results that they will lie about them. They may say they delivered the papers when they didn’t, or they may produce evidence to “prove” that they delivered the documents or that they gave them to the right person. They may forge documents, put the wrong time stamp on a document, or even produce false witnesses. A lawyer or firm is not likely to be held liable for a process server’s fraud unless they were a part of it. However, hiring professionals that commit fraud on your behalf is certainly likely to give you and your firm a bad reputation. It is critical that you hire a reputable and professional process server company in Scottsdale with proven (independently verifiable) results. Always perform thorough research before hiring a company for your firm’s process of service. Check out the firm’s reputation online, and talk to previous clients if you can. Find out what was good about their experience and what was bad. Ask if they filed a complaint if they had a bad experience, and if they did, look up the complaint to find out if any action was taken. Confirm the company’s credentials, and ask plenty of questions during the evaluation process. Check to see if the registration and insurance are current. Make sure you understand the company’s processes and that its servers understand your firm’s needs. Getting the right fit will prove essential to a successful working relationship between your firm and the process server company. No matter what firm you work for, you must have a reliable process server. As a client, you should also ask what kind of process server your firm works with to ensure that your case goes smoothly. 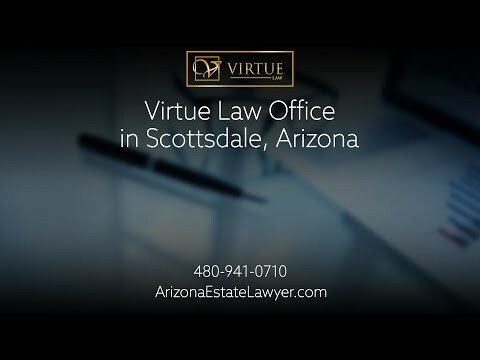 The estate planning professionals at Virtue Law use only the best process servers for its Scottsdale clients. Estate planning lawyer Pamela A. Virtue handles wills and trusts, litigates probate, and draws up documents for guardianships and conservatorships, among other estate planning matters. She also represents clients involved in personal injury or wrongful death cases, as well as those with business personnel issues. Call her Scottsdale firm to discuss your estate planning needs, and work with her in confidence knowing that her firm uses only the most reputable process servers and other legal professionals.